Christmas is once again upon us! Christmas is either here, there, or it’s just around the corner, depending on when you read this. Anyhow, it’s once again time to celebrate Christmas with the one and only Pavarotti! One of the many wonderful songs from Pavarotti’s Christmas album “O holy night” is the carol “Adeste Fideles“. This carol was originally written with Latin lyrics but is maybe more known with English lyrics as “O Come, All ye Faithful”. In this recording Pavarotti sings it in Latin. This post was first published 22-11-2015. Last revision 22-11-2015. Posted in Christmas with Pavarotti, Luciano Pavarotti, Pavarotti, Pavarotti in sacred music, Pavarotti's recordings on November 22, 2015 by Odd Pavarotti. My series of posts with Pavarotti arias A-Z continues. Let’s go! Yesterday was time for the letter K and I came into real trouble! So much trouble that I had to postpone my post on the letter K until today! As you might understand I didn’t find any Pavarotti aria that begins with K. This is probably because the letter K isn’t part of the Italian alphabet. It’s only used for loanwords and foreign names, but also in native names on rare occasions. What I did found, after hours of searching, was Pavarotti singing the “Kyrie Eleison”, or just “Kyrie” from the Verdi Requiem. When I first heard it in the beginning of the 1990’s I was so amazed when Pavarotti started singing. Then the three other voices one by one started to join in and it became even more beautiful. I believe that the aria above is a live recording from Italy around 1970. Below is another recording of the Kyrie. The Verdi Requiem starts with the Introitus, followed by the Kyrie where the tenor voice is first heard. This is a recording with La Scala orchestra and chorus conducted by Riccardo Muti which is available on EMI Classics CD. This post was first published 30-04-2015. Last revised 30-04-2015. Posted in Luciano Pavarotti, Pavarotti, Pavarotti in sacred music, Pavarotti sings, Pavarotti's performances, Pavarotti's recordings on April 30, 2015 by Odd Pavarotti. During the Cold War Pavarotti’s recordings were rarely published in the Communist Bloc countries of Central and Eastern Europe, and he rarely held concerts behind the Iron Curtain during that period. One of the very few exceptions took place in East Germany, or the German Democratic Republic (GDR), which was its official name, or Die Deutsche Demokratische Republik (DDR). as it was known in German. In 1982, the East German state classical record label Eterna, based in East Berlin, published Pavarotti’s Christmas album “O holy night” under the title “Ave Maria” on LP and Music Cassette. The album contained 9 tracks, which was the same tracks as the original UK Decca LP release. The US London LP version contained two more tracks, but these two tracks later appeared on later editions of the album in UK and around the world. 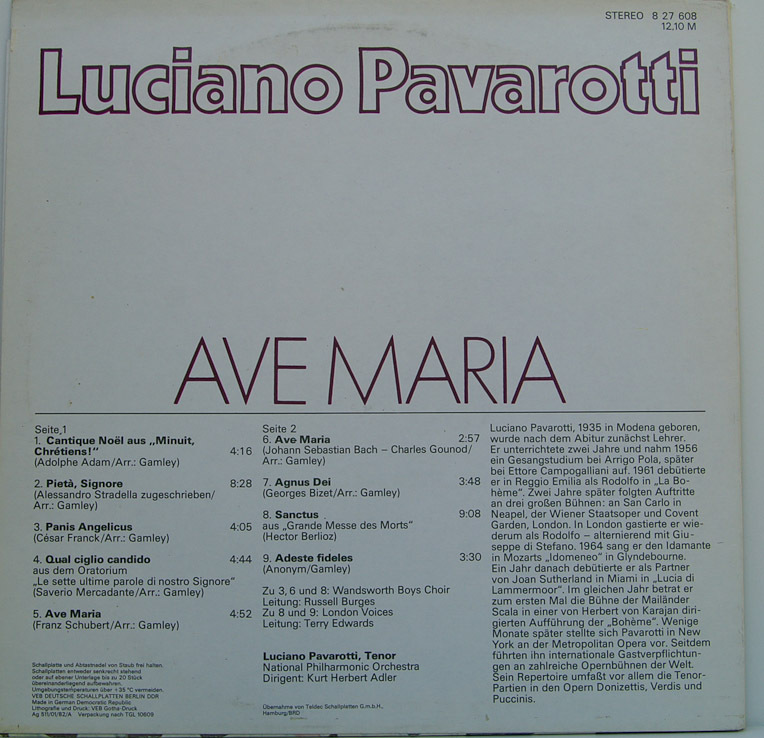 The Ave Maria Eterna LP can easily be found in second-hand stores in Germany and elsewhere. What a treasure to have in your Pavarotti collection! Imagine the divided city of Berlin in 1982: Pavarotti’s Christmas album was published in East Berlin, and in West Berlin Pavarotti sang in the Verdi opera Aida at Deutsche Oper. 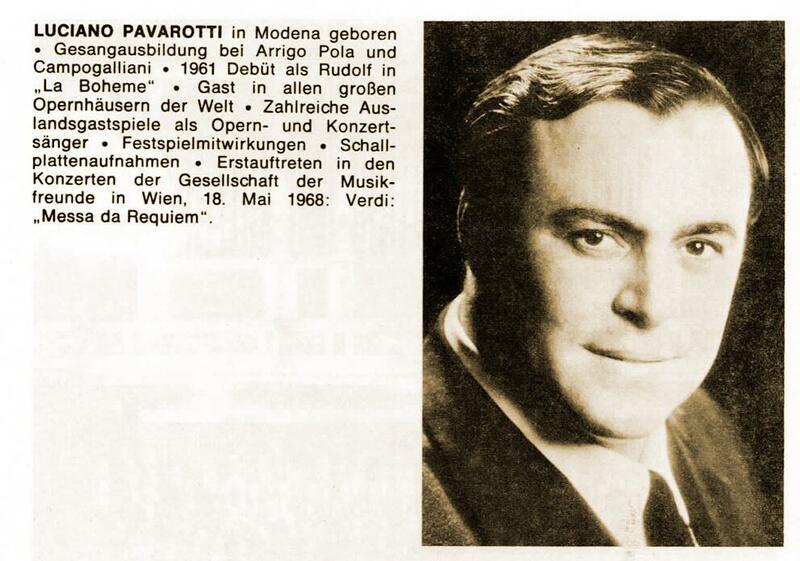 Read about Pavarotti in that West Berlin Aida here and here. Imagine also this: In 1989 the Berlin Wall was open and would later be teared down. The divided city was no longer divided and soon Berlin would become the capital of a united Germany. I wish you all a joyful and peaceful Christmas! This post was first published 21-12-2014. Last revision 21-12-2014. Posted in Berlin, Christmas with Pavarotti, Luciano Pavarotti, Pavarotti, Pavarotti in Berlin, Pavarotti in sacred music, Pavarotti's performances, Pavarotti's recordings on December 21, 2014 by Odd Pavarotti. Two of the most popular Christmas songs are both named Ave Maria. There is the one by Franz Schubert and the one by Charles Gounod based on a work by Johann Sebastian Bach. 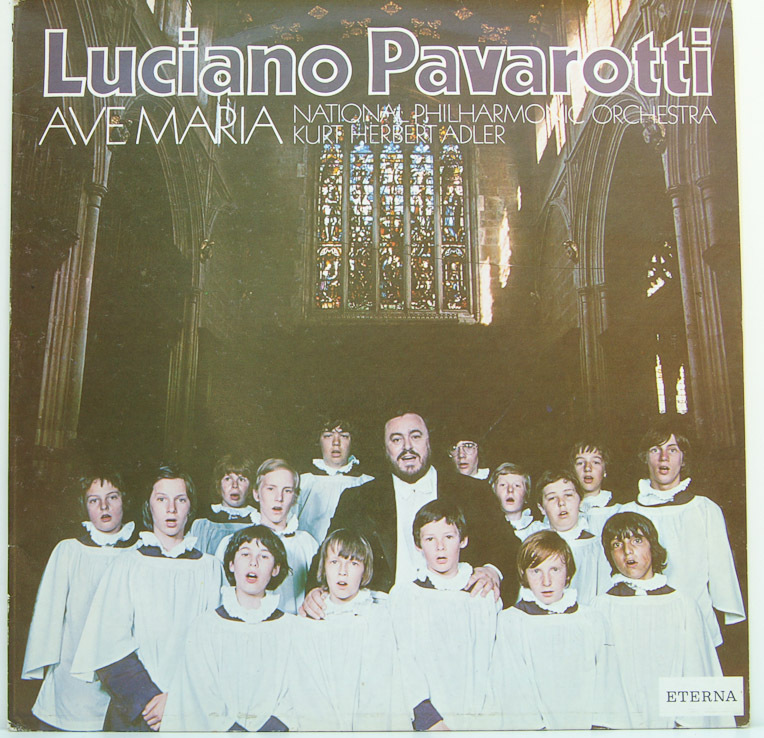 Pavarotti sang both Ave Marias. Here is first the Schubert version followed by the Gounod/Bach version. Which one do you like best? This post was first published 20-12-2014. Last revision 20-12-2014. Posted in Christmas with Pavarotti, Luciano Pavarotti, Pavarotti, Pavarotti in sacred music, Pavarotti's performances, Pavarotti's recordings on December 20, 2014 by Odd Pavarotti. How time flies! Just the other day it was 40 years since the great Pavarotti made his debut with the Berlin Philharmonic. On the 24th of June 1974 Pavarotti joined the Berliner Philharmoniker conducted by the great Herbert von Karajan in Verdi’s Requiem. However, this performance didn’t take place in Berlin as one might think, but in the Musikverein in Vienna, Austria. 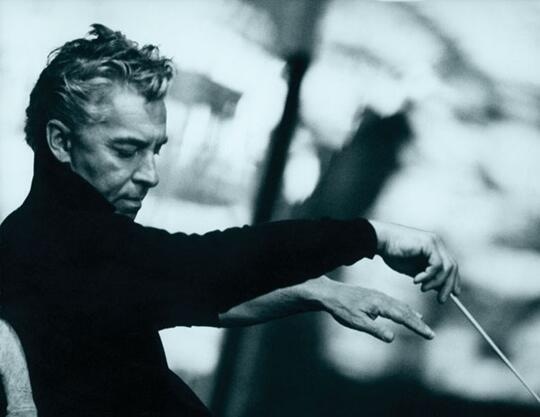 It looks like Pavarotti didn’t sing with the Berlin Philharmonic in Berlin at all, at least not with Karajan, according to this source. I haven’t found any evidence that Pavarotti sang with the Berlin Philharmonic in the post-Karajan period either, but I may have overlooked something. Pavarotti did however also sing with the Berlin Philharmonic in the Großes Festspielhaus in Salzburg, Austria, and at the Carnegie Hall in New York, USA, all with Karajan conducting. It must be added that the Italian soprano Mirella Freni also made her debut with the Berlin Philharmonic in this performance. What a historic performance it turned out to be! And before you start to ask: No recording of this performance excist as far as I know! This post was first published 01-07-2014. Last revision 01-07-2014. Posted in Berlin, Luciano Pavarotti, Pavarotti, Pavarotti in Berlin, Pavarotti in sacred music, Pavarotti's collaborations, Pavarotti's performances on July 1, 2014 by Odd Pavarotti. Easter, the most important Christian holiday, is here. This is a good excuse as any to give you Pavarotti singing the lovely religious song O Jesu mi dulcissime by Guida. The recording on the video is taken from the live solo album Pavarotti at Carnegie Hall. This album was recorded at a recital at Carnegie Hall in New York in November 1987. Pavarotti is accompanied by John Wustman on piano. 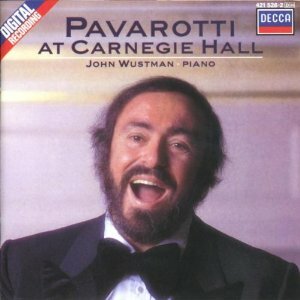 Pavarotti at Carnegie Hall is available on Decca CD, download and streaming. It’s a beautiful album that is highly recommended. I wish you all a good Easter holiday! This post was originally published 11-04-2014. Last revision 11-04-2014. Posted in Easter with Pavarotti, Luciano Pavarotti, Pavarotti, Pavarotti in sacred music, Pavarotti's performances, Pavarotti's recordings on April 11, 2014 by Odd Pavarotti. It’s time again to celebrate Christmas with The Three Tenors! And it’s time again to go back to the great musical city of Wien (Vienna). Why? It’s because The Three Tenors performed their only Christmas concert together ever right there in the Austrian capital on December 23, 1999. We have visited this grand event in an earlier post, but this concert has so many great Christmas tunes it’s only fair that we visit this concert one more time. Today I want to share with you my favorite song from that concert. It’s in fact a traditional Polish song, “Lulajze Jezuniu”. The Three Tenors sang this song together, but they didn’t perform the song in Polish, but in Italian with the title “Dormi, o bambino” (“Sleep, child”). I believe that this song is a Christmas song about the sleeping baby Jesus Christ, or about any sleeping child, making it a kind of lullaby as well! Anyhow, it’s to beautiful to leave out this Christmas, so here it is! 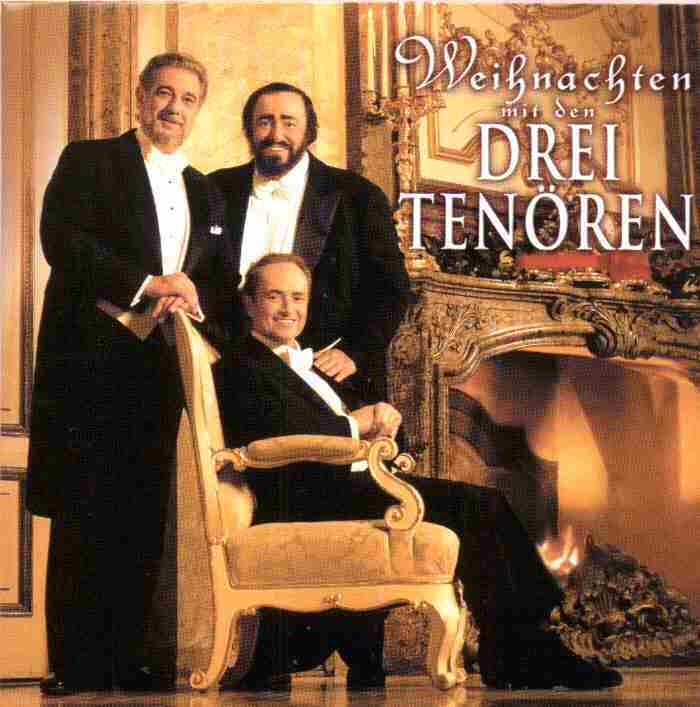 The Three Tenors Christmas concert was broadcasted on tv and is available on CD, download and streaming, as well as VHS and DVD, all on Sony Classics. Below is the German CD cover of the album. In fact, also French and Italian CD and DVD covers exists! This post was originally published 03-12-2013. Last revision 03-12-2013.